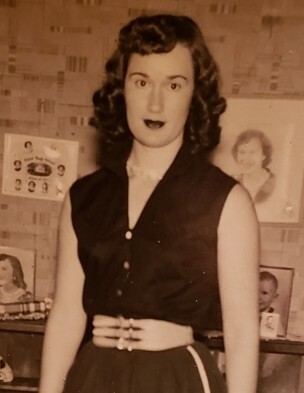 CLEVELAND - Mamie Faye (Raney) Pearcy, age 86, of Cleveland, MS passed away on Saturday, February 9, 2019, at Hospice Ministries in Ridgeland, MS.
Visitation will be held Tuesday, February 12, from 12:00 PM to 2:00 PM at the First Church of the Nazarene in Cleveland. Funeral services will follow at 2:00 PM at First Church of the Nazarene 700 Yale Street Cleveland, MS 38732. Burial will be at the North Cleveland Cemetery. Brother James Lindsey will officiate the service. Faye was born on May 14, 1932, to Arthur Eli and Lillie Mae (White) Raney in Charleston, MS. She grew up in the Mississippi Delta and graduated from Skene High School in 1950. Faye enjoyed working at Baxter Laboratories in the 1950's. She married Everett Pearcy on July 31, 1954. After living in Columbus, MS for 15 years, the Pearcy’s moved back to the Delta in 1981. It was at this time she and Everett began a small nursery business selling a variety of plants and flowers to the community. This is how she received her nickname "The Plant Lady". She and Everett also had a business where they traveled the craft show circuit on weekends, selling plants and Faye’s handmade creations. She also enjoyed sewing, keeping her yard beautiful, and cooking her biscuits and pralines. Most of all she loved taking care of her granddaughters and the other children in her family and her neighborhood. Faye attended the First Church of the Nazarene. She was preceded in death by her parents, Arthur and Lillie Raney, husband Everett T. Pearcy, brothers, Buddy Raney, Marvin Raney, Cecil Raney, Ben Raney, and Robert Raney, and sisters, Doris Raney Davis, and Annette Raney Woodruff. Faye is survived by a son, Randy (Wanda) Pearcy of Madison, MS, daughter, Donna Pearcy of Chula Vista, CA, granddaughters, Sarah Pearcy of Atlanta, GA and Mary Beth Pearcy of Madison, MS. She also leaves a host of nieces and nephews to cherish her memory. Pallbearers are Hunter Lindsey, Joshua Lindsey, Richard Woodruff, Matthew Woodruff, Ray Zoska and Guin Rico. The honorary pallbearers are Larry Woodruff, James Lindsey, and Alton Vance.